One general rule-of-thumb says that you should aim for 8% of your current income. If you make $100,000 per year, for example, you should aim for a retirement income of $80,000. But we disagree with this concept. A person who makes $100,000 a year and spends every dime is different than a person who makes $100,000 a year and lives on 30% of his income. So we recommend a different approach: base your assumption on how much you currently spend, not how much you currently earn. If you want to live on $40,000 per year, for example, you'll need a $1 million portfolio ($40,000 x 25). If you want to live on $60,000 per year, you'll need a $1.5 million portfolio. Go to the official Social Security website and use their estimator tool to get an idea of how much you'll collect in retirement. Add this figure to any other sources of retirement income that you may have, like a pension or rental income. Then subtract from the total annual income you want when you retire. For example, You want to live on $60,000 in retirement. Social Security will pay you $20,000 per year, while a small pension will pay you $5,000 per year. This means $25,000 of your income comes from "other" sources. Only $35,000 needs to come from your portfolio. Therefore, you'll need an $875,000 portfolio ($35,000 x 25), not a $1.5 million portfolio (though it doesn't hurt to be over-prepared). Use a retirement calculator to find out how much money you'll need to save each year to accumulate your target portfolio. Let's imagine that you're 30. You have $20,000 currently saved. You want to retire at age 65. You want a retirement income of $70,000, of which $25,000 will come from Social Security and the other $45,000 will come from your portfolio. You assume a 4% inflation rate, 25% tax rate, and 7% rate of return on your portfolio investments. Under those conditions, you'll need to put aside $24,000 per year to have a good shot at your retirement portfolio lasting until you turn 99, according to US News' retirement calculator. Crunch the numbers for your situation to see how much you'll have to save to meet your goals. Invest the money that's in your retirement portfolio based on your age, your risk tolerance, and your income goals. 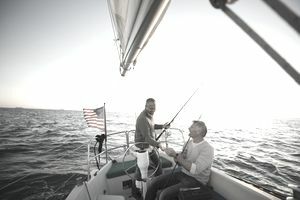 As a general rule of thumb, 110 minus your age is the amount of money you should keep in equities (stocks), with the rest in bonds and cash equivalents. If you're 30, for example, keep 110 - 30 = 80% of your portfolio in stocks, with the rest in bonds and cash, and rebalance yearly.